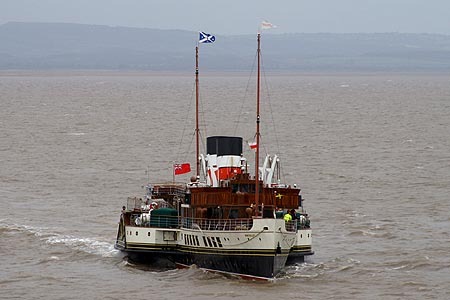 This page is devoted to photographs taken on a Bristol Channel cruise in 2005 of the Waverley Excursions preserved paddle steamer Waverley. 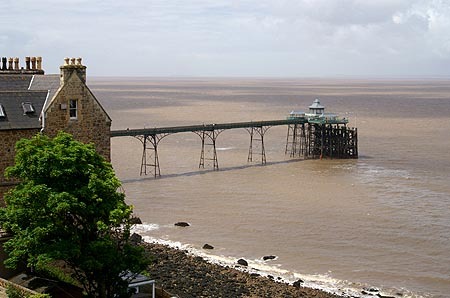 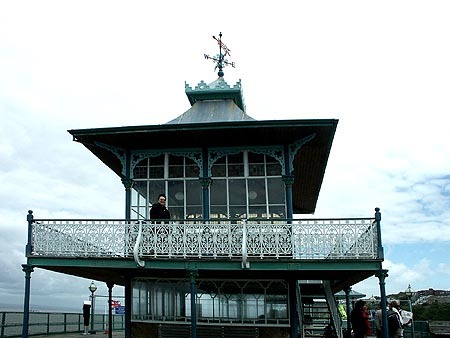 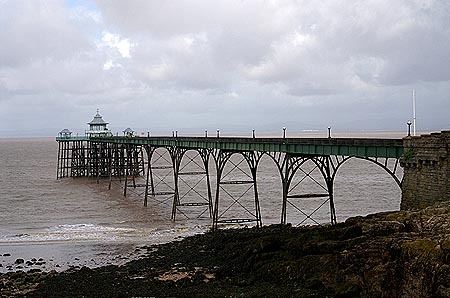 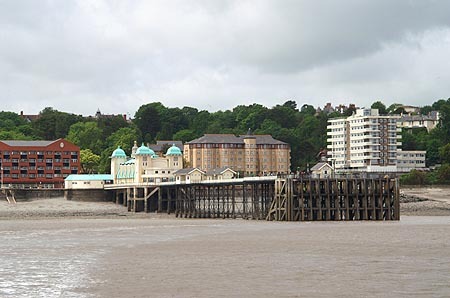 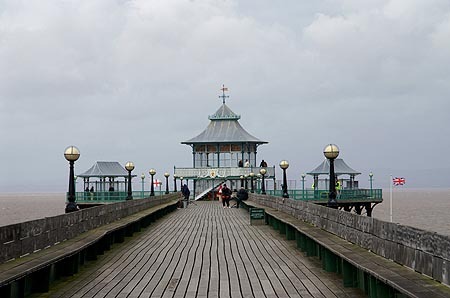 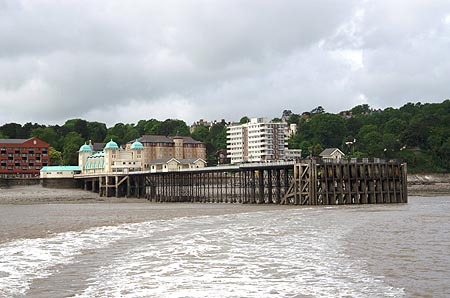 The trip was intended to run from Clevedon to Penarth, Weston and return. 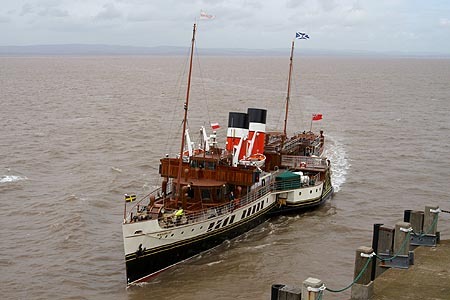 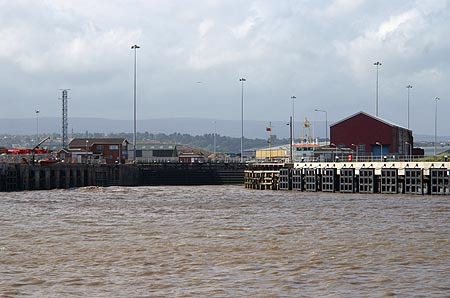 Due to high winds and rough seas, the call at Weston was cancelled and Waverley cruised past Barry and then up the River Usk past Newport docks, terminating at Penarth. 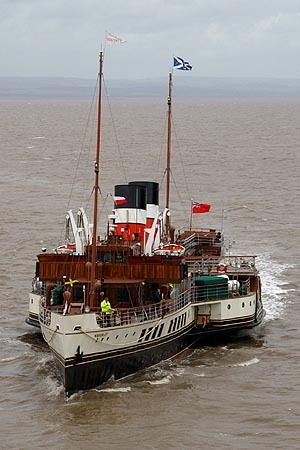 A launch party for Mike Tedstone's book on the Barry Railway steamers, published by Oakwood Press, was held on board. 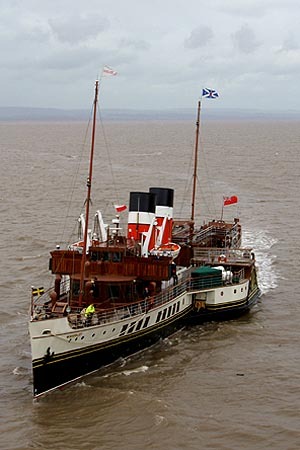 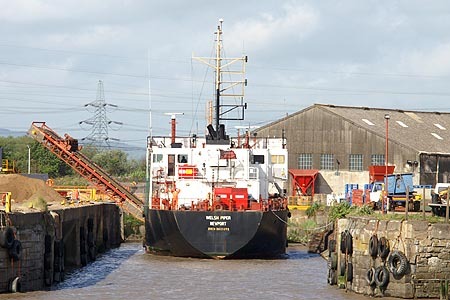 Waverley Photographs - 2005: Bristol Channel - this page! 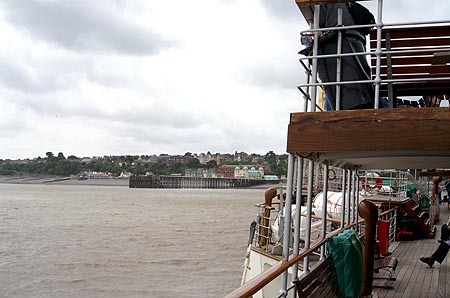 Photo: &COPY; Ian Boyle, 4th June 2005. 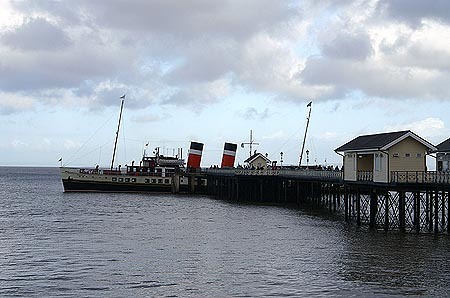 Waverley arriving at Clevedon Pier. 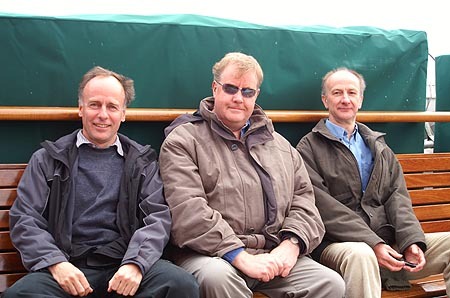 Dave Pennock, Ian Boyle and Ian Greig on Waverley. 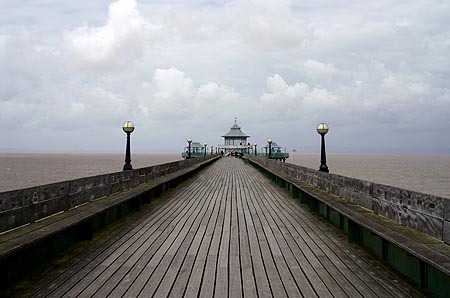 Photo: &COPY; Maragret Boyle, 4th June 2005. 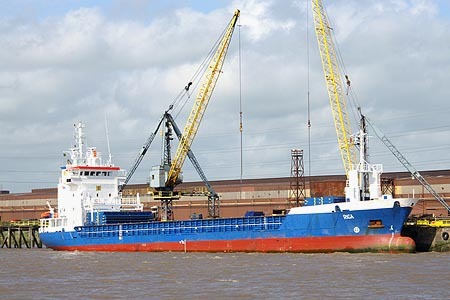 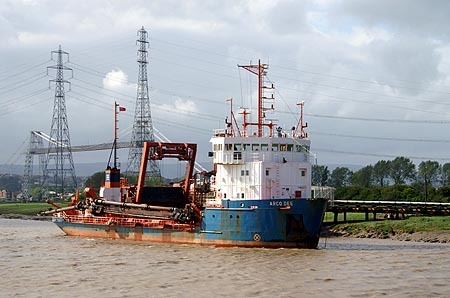 Riga on the River Usk at Newport. 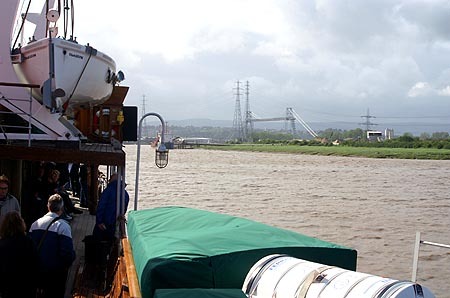 Newport registered Welsh Piper on the River Usk. 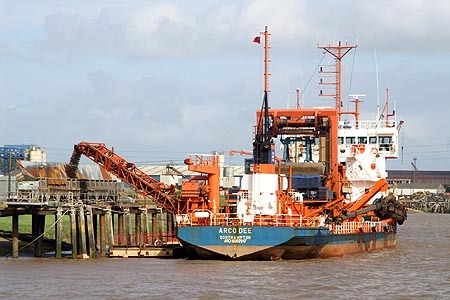 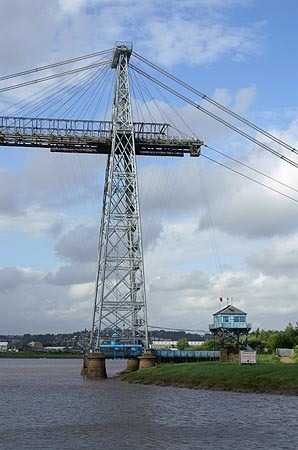 Arco Dee on the River Usk at Newport. 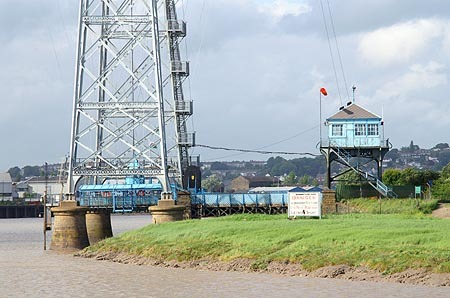 Newport transporter bridge in the background. 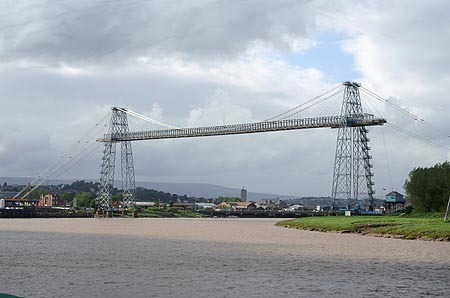 On the River Usk at Newport. 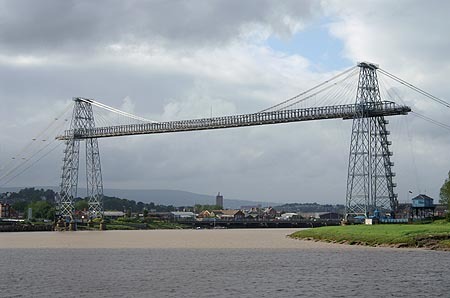 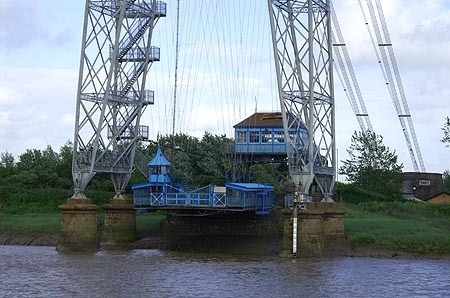 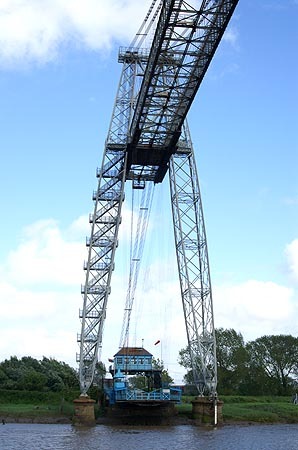 Newport transporter bridge across the River Usk. 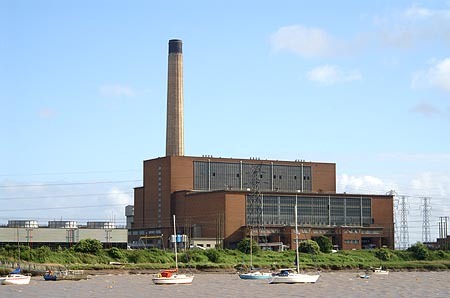 Power station on the River Usk.